Our twelfth homework is based on an article on The Guardian website examines the impact of Cyclone Idai on Mozambique. View the article. Rather than setting a series of comprehension activities we are trialling the use of dual coding. We’ve set up some support resources for students who are unfamiliar with dual coding here. We’d love to hear what you think about using this technique. Please contact us and let us know what you think. 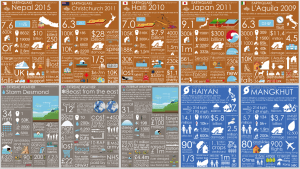 You will also have access to our new Geography Infographics and resources to support the new AQA GCSE Geography Pre-release.